August, 1918. World War I is entering its final desperate stages. A generation of young men have given up their lives for their country - and the young women left behind are hard put to find a husband. 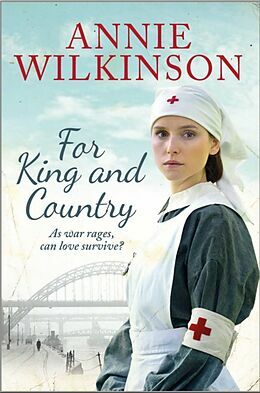 When she learns that her handsome sweetheart has been killed in action, Sally Wilde decides to dedicate her life to nursing. It's not the life she'd imagined as a wife and mother, but the work at Newcastle City Hospital is fulfilling and rewarding. Although fraternisation with doctors and patients is strictly forbidden, Sally finds herself drawn to an Australian officer on her ward. But behind his facial injuries, Lieutenant Kit Maxfield is hiding a shocking secret, a secret that will lead Sally into great danger - and change the course of her life forever. AS WAR RAGES, CAN LOVE SURVIVE? As the First World War is entering its final, desperate stages, Sally Wilde discovers that her handsome sweetheart has been killed in action. With a generation of young men having given up their lives for their country, many of the young women left behind struggle to find a husband, and so Sally decides instead to dedicate her life to nursing. Although it is not the life she'd imagined for herself, work at Newcastle City Hospital is fulfilling and rewarding, and soon Sally finds herself drawn to Lieutenant Kit Maxfield, an Australian officer on her ward. But fraternisation between nurses and their patients is strictly forbidden, and behind his facial injuries, Kit is hiding a shocking secret. Will loving Kit lead Sally into great danger and change the course of her life forever . . .?